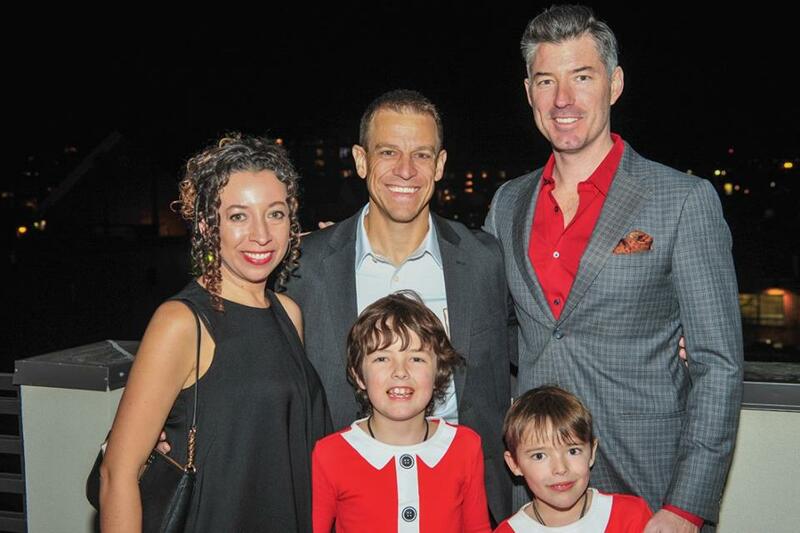 We had a great time at our annual Holiday Party celebrating the American Transplant Foundation’s Transplant Leadership Council (TLC)! This event was a great chance for us to gather and reflect on the impact of this group’s fundraising and stewardship of our Patient Assistance Program. 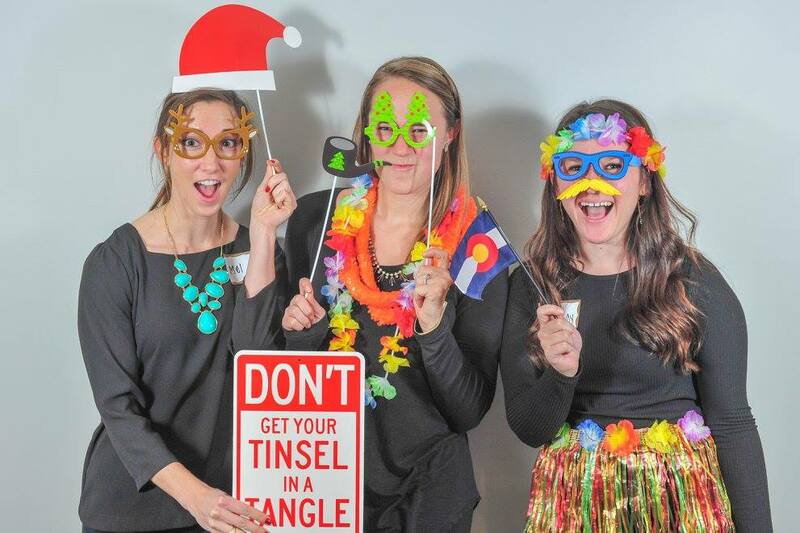 We traveled around the world with a beach-themed photo booth, food from Mexico and Italy and lots of fun activities! We sponsored vulnerable families going through the transplant process with our Tree of Life and through our silent auction. 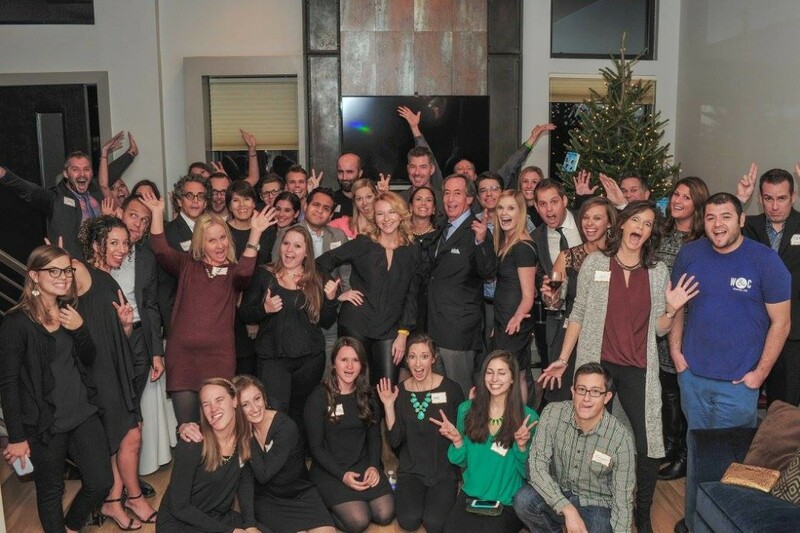 Thank you to everyone who made this event possible and we look forward to a great 2016 with the Transplant Leadership Council! About the Author: Zander Maitland is the youngest member on our Transplant Leadership Council with one of the biggest passions for service and giving back to help transplant patients have the same second chance at life as his father. 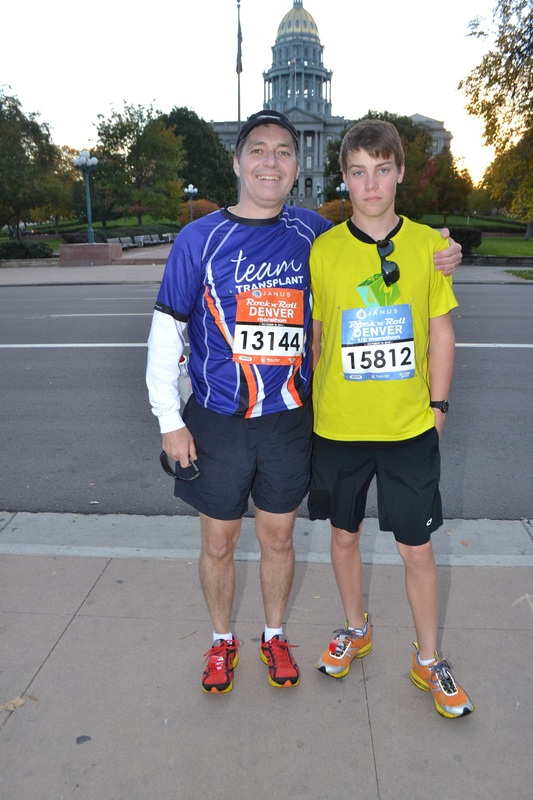 Here they are pictured at the Denver Rock ‘n’ Roll half marathon in October 2014. It has been over seven years since my dad received his life-saving lung transplant, and six since he has returned to what most would consider a normal adult life: eating food rather than nutrients from a tube, working full time, and most importantly to him and the rest of us, staying active. Only a day after the operation and unable to speak, he pulled my mom aside and with a pencil in hand, he inscribed his first word after months of waiting, hours of preparation and surgery, and continuously falling in and out of consciousness onto a pad of paper: walk. He put on his running shoes, and soon after the doctor had approved, marched out of the ICU and began his walking regimen. Gradually he began to recover and gain back his strength, and soon his strolls down the halls of Duke University hospital had become short jogs, and after that, long runs. Six months later, he took his first steps into the pool and began swimming. Unlike probably most people, my dad has always believed the best way to stay healthy is to stay active whether through swimming, running, biking, or other activities that engage the body and mind. In the years since his transplant, he has completed dozens of 5ks, 10ks, and even a few half marathons as well as many open water swim events, most of which my sister and I have completed with him. However, in the late spring of 2013, the three of us found ourselves vying for something more challenging, something truly impressive to test the limits of what can be accomplished thanks to organ transplant. Talking to my swim team coach one morning, he mentioned a 1.5 mile swimming race from Alcatraz island across the bay to the mainland. 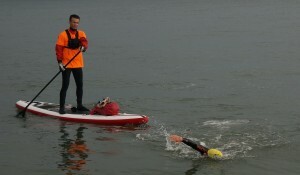 For those who are not familiar with swimming, that distance is equivalent to about 100 lengths in a standard pool, not to mention the freezing cold water, powerful currents, and of course, sharks rumored to be found in the bay. We registered for the race the next day, and on an early morning in May, we found ourselves in wetsuits on a small boat, jumping feet first into the dark murky waters of the San Francisco bay, only a few feet from the edge of the Alcatraz prison. The cloudy sky was vast and ominous as we began our trek across the bay, and even with our wetsuits, the salty water was incredibly cold, forcing us to constantly stay in motion to keep hypothermia at bay. Between breaths we would glance up at the city, the skyscrapers and white stone buildings suddenly illuminated by the rising sun through the veil of fog that almost always covers the area. We finished the swim an hour later on a sandy beach near Pier 39, and even managed to get coffee and chocolate at the Ghiradelli factory before 9 o’clock. Now almost two years after that morning in June, we returned to San Francisco for an even bigger adventure: a 6.2 mile (10 kilometer) swim race from the Golden Gate Bridge to the Oakland Bay Bridge. Although I personally experienced some trepidation at first, having not swum for a year and being too busy with high school to train, we all agreed to do the swim together. Zander and his kayaker – last stretch! Soon I found myself with the same endless dark sky and murky abyss of water below me standing in a very similar small boat on an early August morning, ready to leap into the icy water with nothing but my wetsuit, goggles, a silicone swim cap, and a bright green light to help the supporting kayakers keep track of us for the 5:30 am, pitch black start. 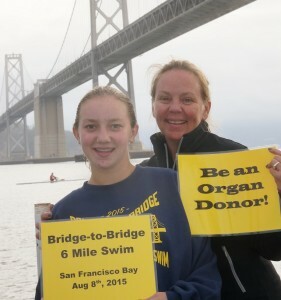 The excited faces of the other swimmers glowed in the lights of the Golden Gate Bridge above us and as I looked far across the dark water at the ominous shape of Alcatraz island and even farther across the water to the our destination, I was reminded of how incredibly thankful I was for the gift of transplant. I stood in silent reflection contemplating the past six years of my life and the amazing journey my father had taken to arrive at this moment and also the six miles of arduous swimming ahead of us. In that moment, I felt truly grateful for the lungs my dad had received and amazed at how much he had accomplished thanks to his transplant; feats and adventures over the last few years that would have been impossible otherwise. Having completed the swim and thinking back on it now, I am always reminded of that moment in the boat. I am reminded of the importance and power of donation and the tremendous impact it can have on the lives of recipients like my dad. I am reminded that when you decide to donate to another person, whether they are a friend, family member, or stranger, you are not only giving them the gift of a precious organ, you are literally giving them a life.